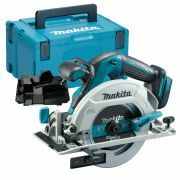 ITS’s range of cordless circular saws encompasses the range of prices that tradesmen need when cutting materials in the most efficient and professional manner. 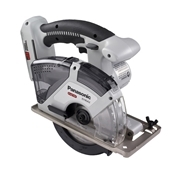 With the advent of lithium-ion technology, the power and overall performance of batteries have improved enormously, making cordless circular saws a real asset in your tool box. 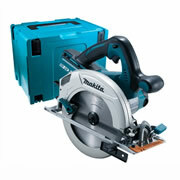 Many brands produce these saws including Bosch, Panasonic, Festool, Makita, Milwaukee, Hitachi, Dewalt and Metabo. Cordless tools give you an incredible amount of freedom so are well worth looking into and with our tool-experts on hand we can guide you with choosing the right saw for the job. 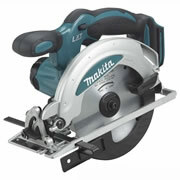 What are the benefits of a circular saw? 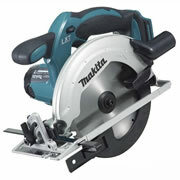 Circular saws are used for cutting an array of different materials - from wood to masonry, plastic to metal. 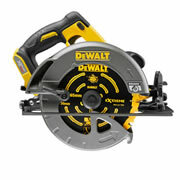 These hand-held power tools give power and accuracy right at your fingertips. 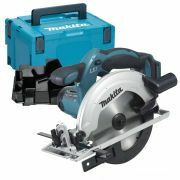 Designed for making rip cuts and cross cuts (or a bit of both), circular saws are able to run on guides or freehand which gives you the kind of flexibility needed for all sorts of jobs. 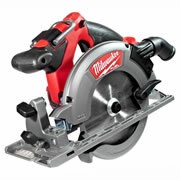 Consequently, many different types of tradesmen use them on a regular basis. 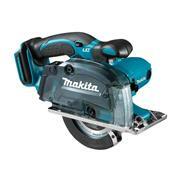 Carpenters, general labourers, tillers, plumbers, floor fitters - they all have use of this sort of cordless power tool. 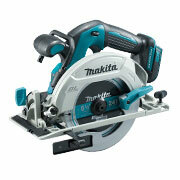 If you’re in need of accurate straight cuts, then a circular saw is the tool you need. 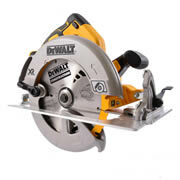 With a wide range of circular saw blades available, the possibilities for cutting various materials are extremely wide and choosing the correct blade can be a minefield. Each circular saw blade is suited to differing tasks but if you’re unsure what to buy don’t hesitate in contacting our customer service team for some advice – whether it’s for ripping or crosscutting, ITS can supply the blades you need. 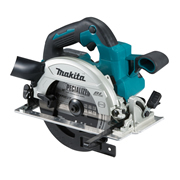 Power tool manufacturers such as Festool, Makita and Milwaukee have taken great strides in producing cordless circular saws that have the same sort of cutting performance as a corded saw. Batteries have improved greatly to the point where there are products where the difference between cordless and their corded counterparts are negligible. Until recently, punters have been reluctant to convert to cordless tools, not being able to live up to the power and reliability of their corded equivalent. easing worries that tradesmen might have about the limited amount of power available in batteries. 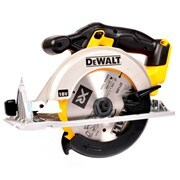 However, cordless circular saw development has progressed immensely to include products that hold two li-ion batteries – batteries that range from 10.8v to 36v. 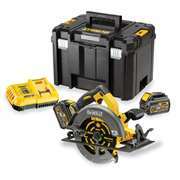 But the biggest and most obvious advantage of cordless saws is the fact that you can go anywhere with them without having to worry about where your nearest power source is. That freedom of movement and not having to deal with the complication of leads being all over the place and getting in your (and everybody else’s) way is an enormous plus on the worksite. At ITS, we’re committed to providing the best possible guidance, advice and service for the professional tradesman. 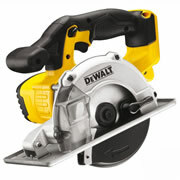 To do this, our team is highly trained and extremely knowledgeable in the use of power tools, including circular saws, so we’re here to guide you through choosing the correct products for your needs. We offer next day delivery and this now includes Sunday and with a promise to have 99% of items listed always in stock, ITS can get you the tools you need when you need them. If you’re looking for experts in tools – just give us a shout!